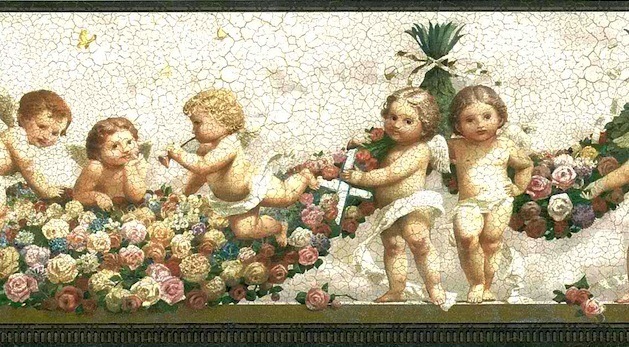 Cupids vintage wallpaper border featuring angels among multi-color roses in shades of Red, Rose, Pink, Cream and Blue with Green leaves. Crackle finish. 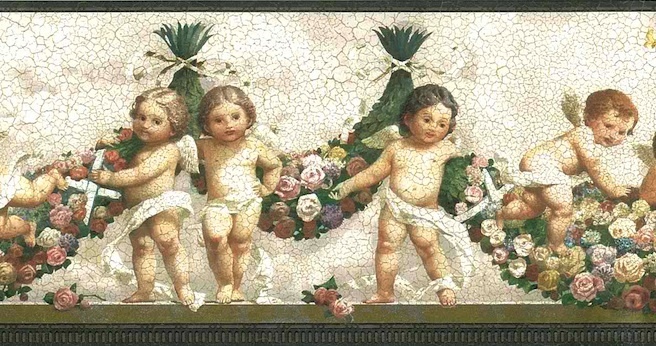 The background is a Creamy Gray and the cupids are flesh color with White ribbons. The bottom edge is finished off with a broad band of an architectural pattern in a Bronze tone and the top edge has a narrow band in the same color. 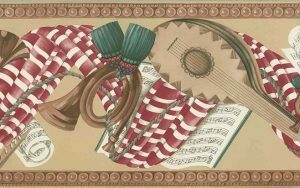 Ideal for a Dining Room or Guest Bedroom.